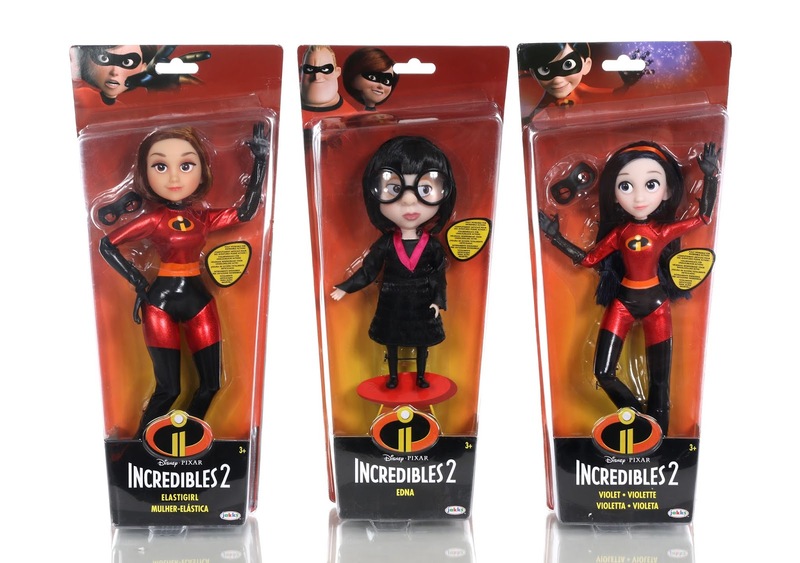 From Jakks Pacific comes these three super awesome Incredibles 2 "Costumed Action Figures" (yes, I know they're dolls ;), featuring Elastigirl (12" tall; 11 points of articulation), Edna Mode (7.5" tall; 5 points of articulation) and Violet (11" tall; 11 points of articulation)! 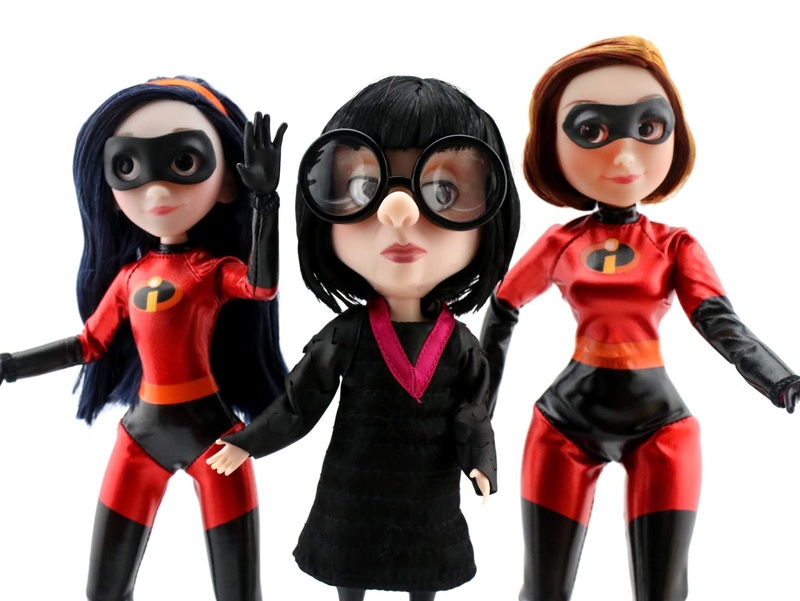 Both supers have removable adhesive masks and Edna has removable glasses; each figure retails for $14.99 and features rooted hair, lens eyes, and shiny full fabric fashion costumes. 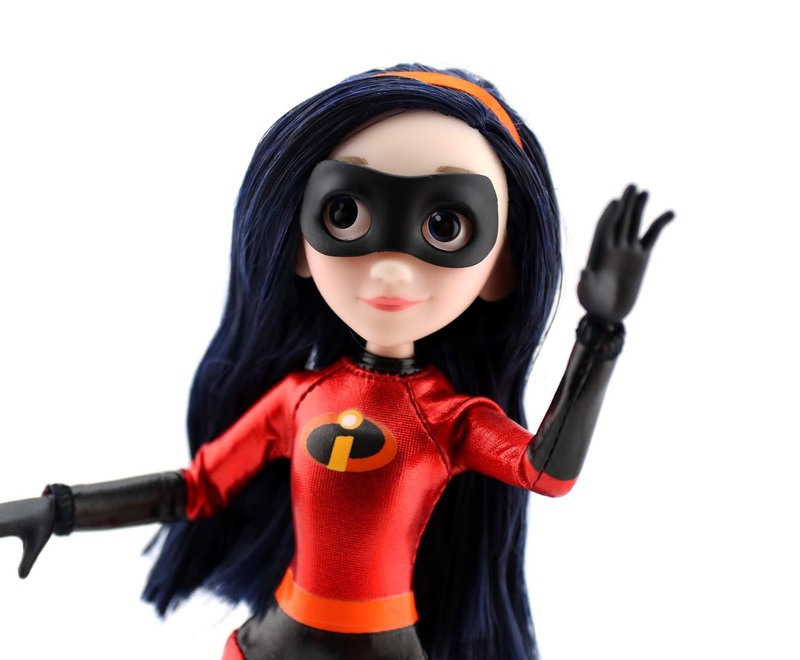 Well done Jakks Pacific! I'm impressed by these. The likenesses are really quite good for this style doll and I was also very impressed by their poseability and to see how well they stand up on their own. 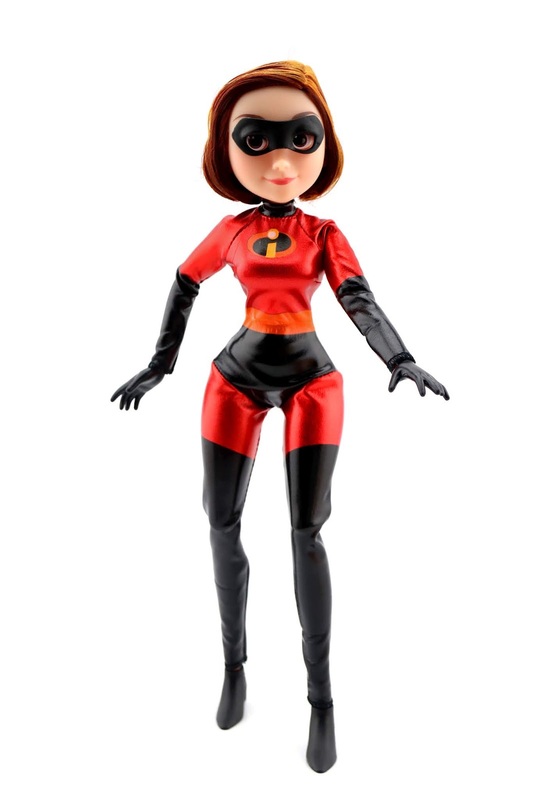 For being so tall and lanky, I suspected Elastigirl and Violet would have trouble standing up without stands. I was proven wrong! After less than a minute of trying, I was able to pose them in a way where they stood up just fine without any kind of support (though if you're going to display them long term, I would still highly recommend buying some doll stands). Let's take a closer look at each character out of the package! The masks fit the curvature of the faces just perfectly and can easily be removed by just popping them right off. I do wonder how the stickiness will hold up over time though? 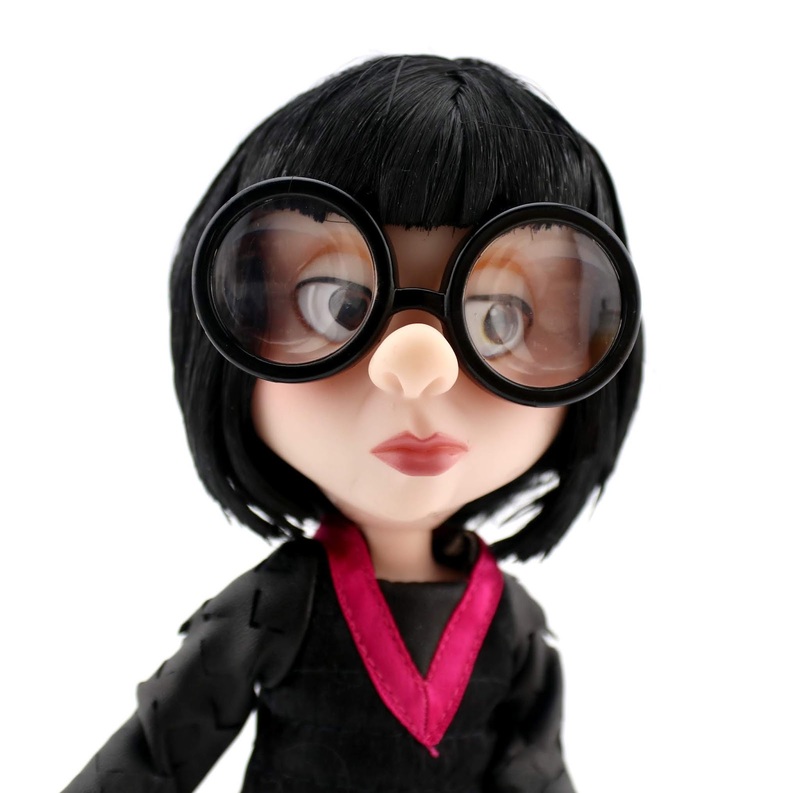 Edna's glasses, as mentioned, can be removed. I didn't however, just because I wanted to keep her hair and everything perfectly intact and it felt like I might mess something up if I did. They don't come off quite as simply as the masks. 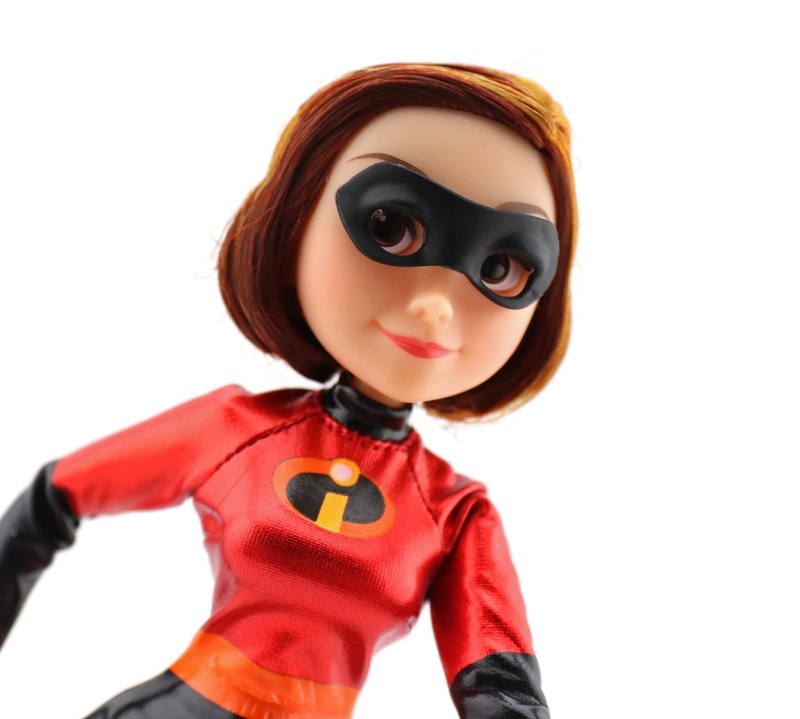 I also have to wonder why they chose Edna's iconic outfit from the first Incredibles and not one of her new looks from Incredibles 2? 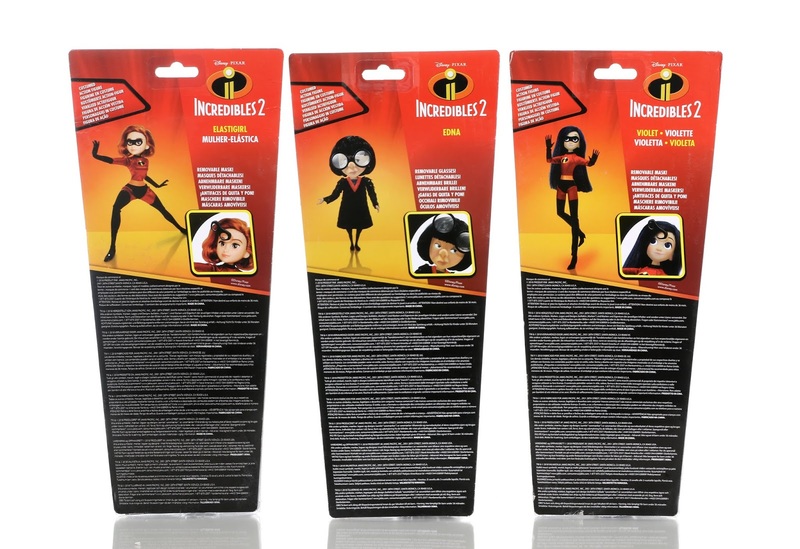 UPDATE: An Incredibles 2 outfit version has been included in wave 2; more on that below. 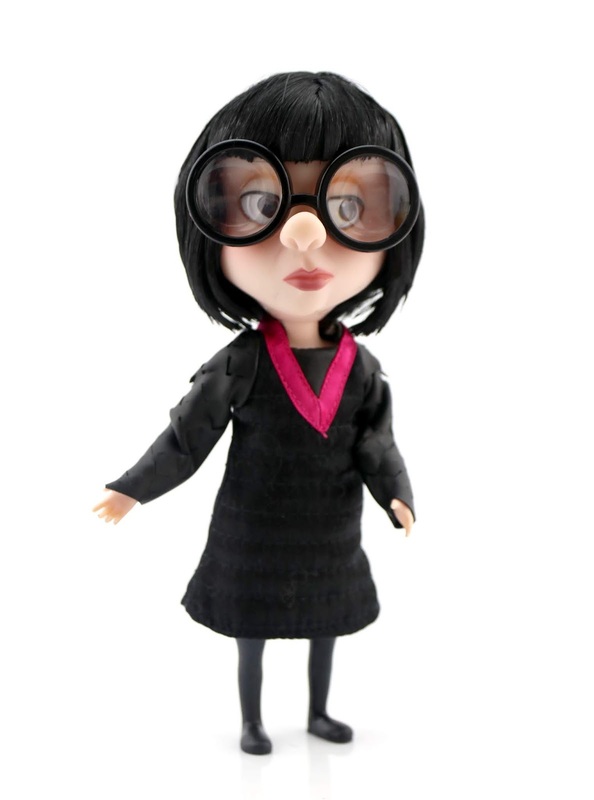 I like how flawlessly they captured Violet's hair color. It's dark, dark blue (almost black, but with still a visible blue tint—just like in the film). 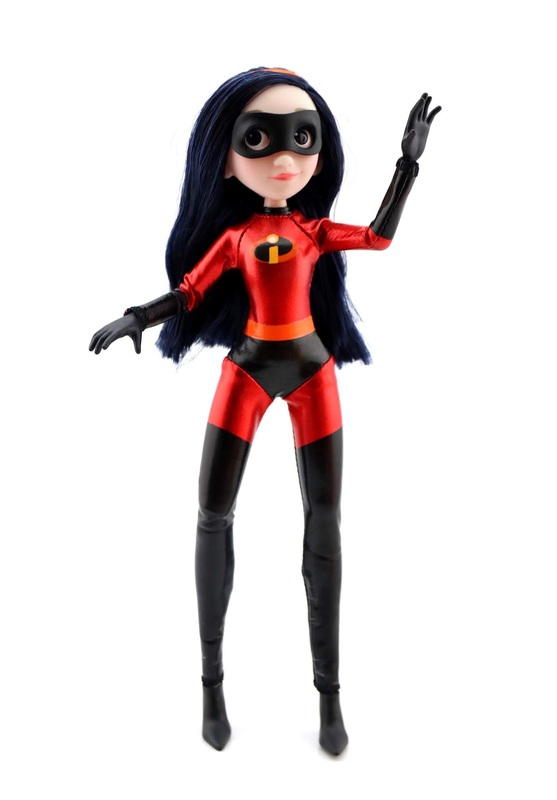 Most times when you see merch of Violet, her hair is either too blue or too black. Good work here! Note: The only main character not represented in this range (for some reason) is Dash. Find them at Walmart, Target or Amazon using the links below and be sure to leave YOUR thoughts down in the comments!